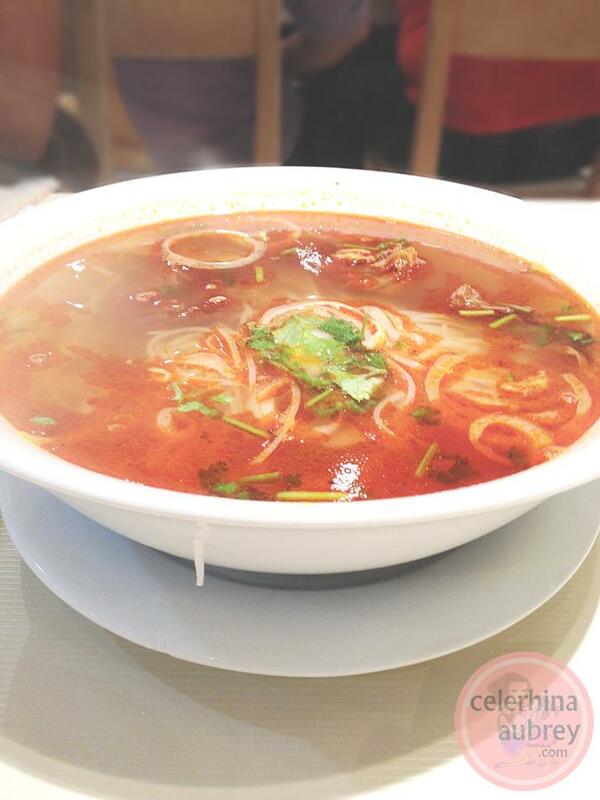 I went out with my bestfriends one weekend and decided to dine at Pho Hoa. Actually, I miss going out with friends coz the ReigningTatay is not adventurous when it comes to food. He'll opt for the usual fast-food – fried chicken and burger all the freakin’ time! Sabi ko nga we should dine out more often so he could at least get an idea on what to cook next time. Daba?! Kesyo mahal daw ng mga restaurants. Hindi daw sya nabubusog! Bonggang kaloka. Anyway, one of my friends suggested Pho Hoa and I immediately said YES. Anything for a non-fast-food dinner. I’ve actually tried Pho Hoa several times already. First time as when we had a team lunch some 4 years ago. And I loved the place ever since. Joie said we should give this salad a try. I don’t know what it’s called but this is probably the best salad I’ve ever had. This beats Coffee Beans’ salad on my list. The pomelo is just perfect for adding zest to the dish and the crab meat and shrimp made it more yummy (I love love LOVE seafoods!). We also had this bowl of noodles. The ReigningTatay wanted something spicy, so we ordered this. Although surprisingly, it’s not too spicy that I was able to enjoy this dish. Perfect for this lactating mum. 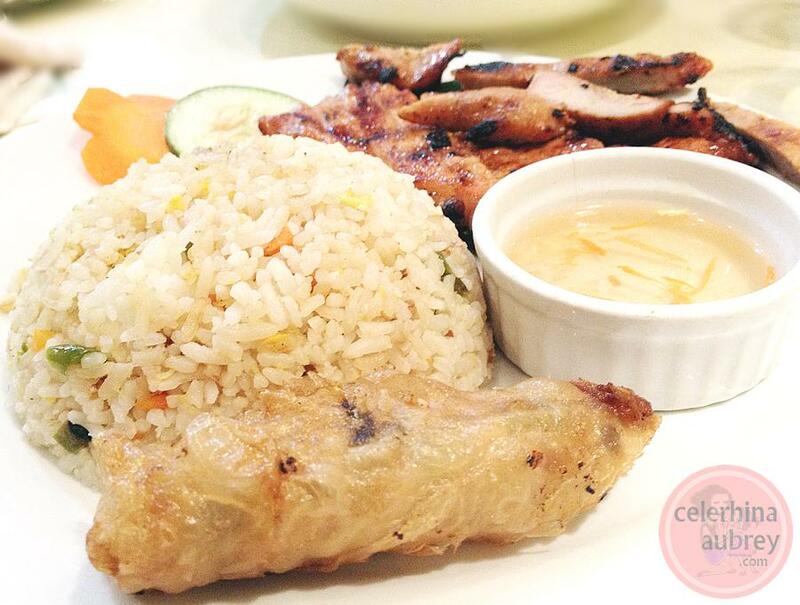 And finally, the ReigningTatay ordered this platter. The pork is just perfect. But my fave is probably the rice. I remember eating loads of the rice. I really love Pho Hoa. 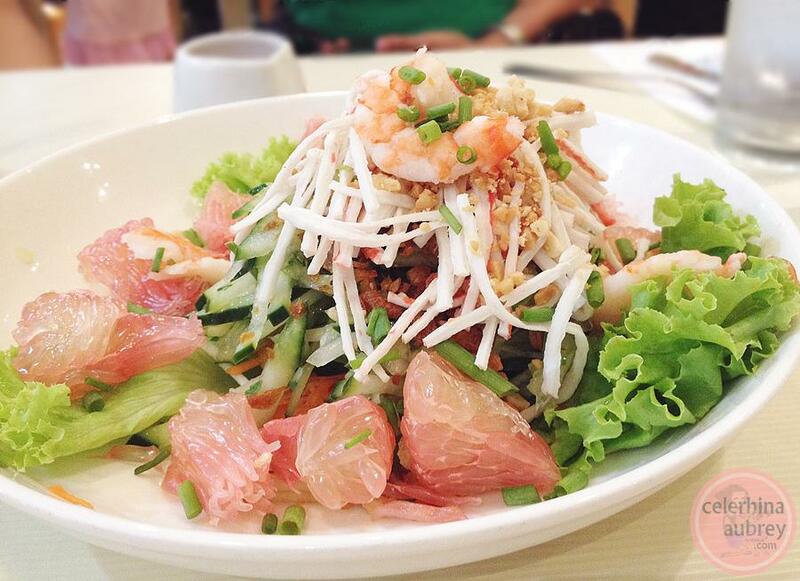 Just looking at these pics made me crave for the salad. I really should visit them again soon. P.S. So sorry I totally forgot the deets of the delish dishes we had. I don’t have the receipt with me and this is a super late post.